The post Tight parking appeared first on StreetViewFun. We mentioned in our post on simulating lakes that Google Earth’s elevation data is often very inaccurate in mountainous areas. When looking around the 3D imagery of Rio de Janeiro, where the Olympics are currently taking place, we realised it would be an ideal place to actually check how inaccurate Google Earth’s elevation data can be. We will start with Sugarloaf Mountain. 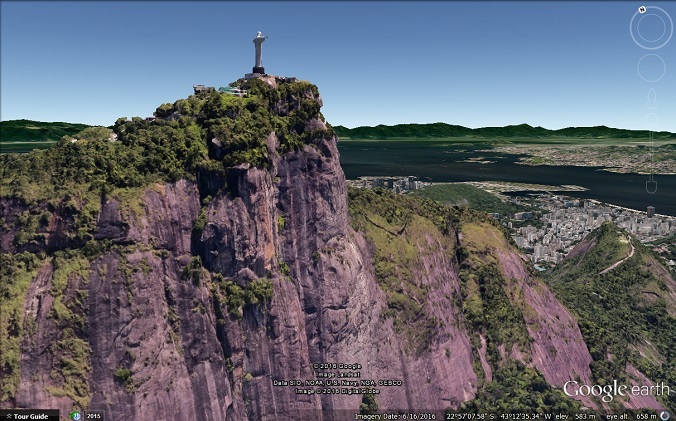 Drag the slider on the image below to compare Sugarloaf Mountain as seen with the 3D buildings layer turned on or off. Google Earth actually shows the peak of Sugarloaf Mountain to be at sea level, with an elevation of 0 m. The hill to the right of it fares better with a maximum elevation shown as 33 m. Interestingly, we discovered that when you turn on the 3D buildings layer, Google Earth does actually show elevations from the 3D imagery in the status bar and reports 406 m for the very top of the cable-car building on the top of Sugarloaf Mountain, and 235 m for the top of the tallest tree on the neighbouring hill. 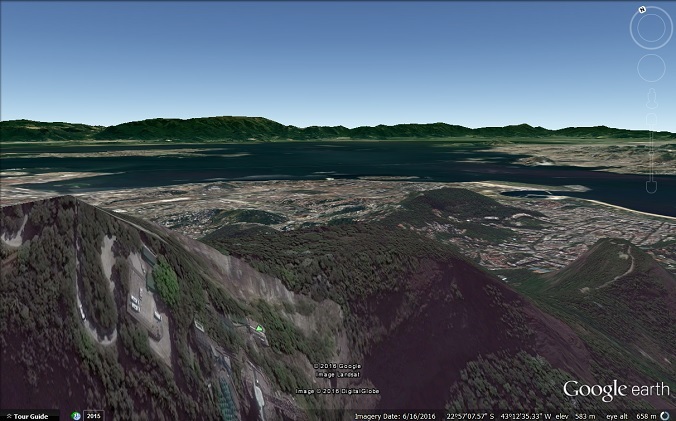 So, even assuming Google Earth should show ground level altitudes when the 3D buildings layer is turned off, it is still out by over 400 m for Sugarloaf Mountain. 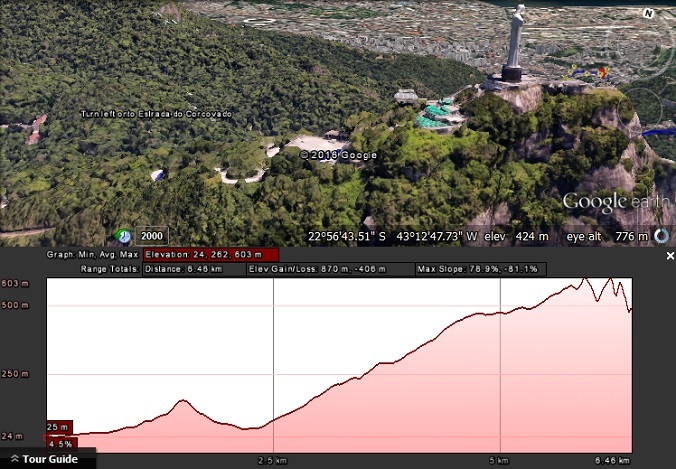 For the famous statue, “Christ the Redeemer”, the peak is shown at about 500 m with the 3D buildings layer turned off, and about 700 m with it turned on, a difference of over 200 m.
If we do an elevation profile of the route to the summit at the statue of “Christ the Redeemer”, even with the 3D buildings layer turned on, the elevation data used is the inaccurate data as shown when the 3D buildings layer is off. The elevation profile shows a dip of over 100 m at the end when it should instead have climbed to an altitude of 700 m.
The above locations are extremes and most other peaks around Rio have smaller discrepancies, but where the terrain is particularly steep the discrepancies can still be significant. 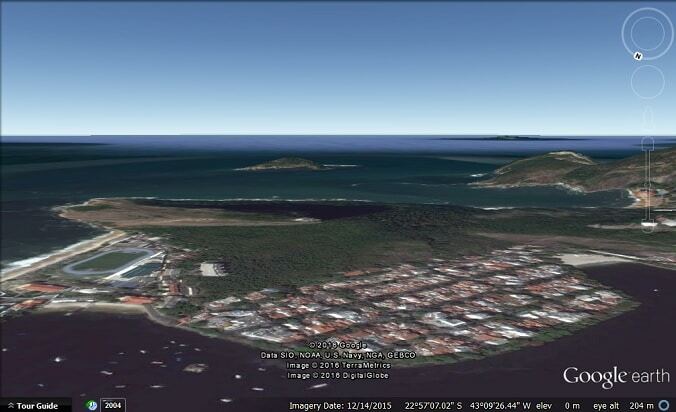 The post Rio 3D imagery and Google Earth’s elevation data appeared first on Google Earth Blog. 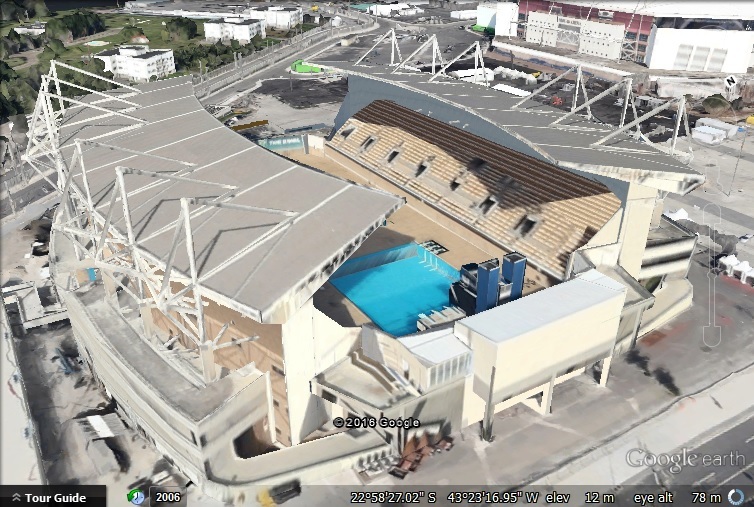 Google has recently updated the 3D imagery for some of the key Olympic venues. 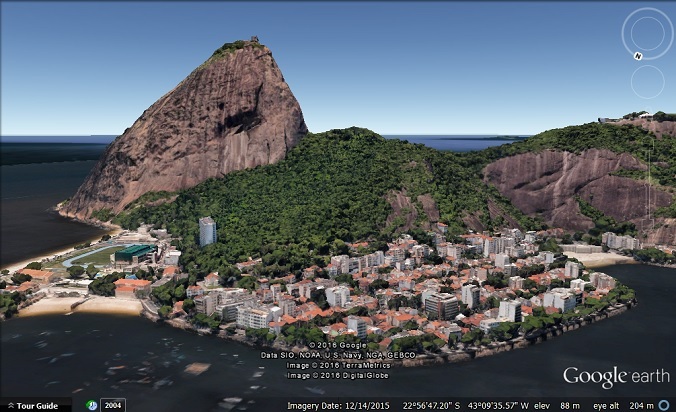 Sometime in June Google had significantly increased the 3D coverage for Rio de Janeiro but that imagery was captured around February 2013 in preparation for the FIFA World Cup that took place in Brazil in 2014. 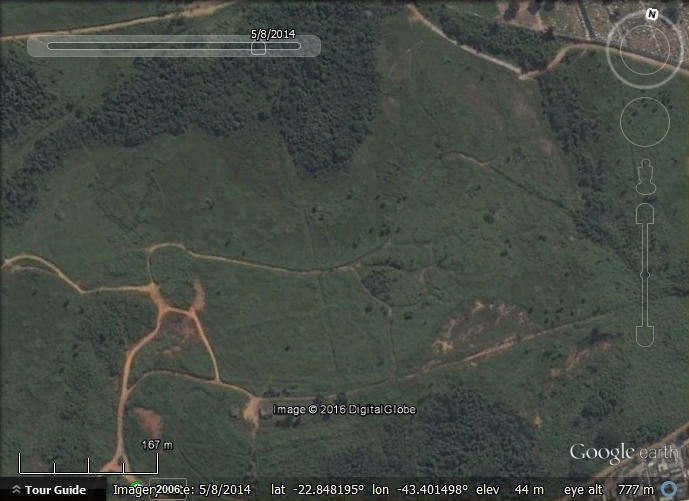 There is also fresh aerial imagery that we believe was captured at the same time as the 3D imagery. This would put the date of the 3D imagery of the white water and BMX venues as late as July 2nd, 2016. So Google really rushed it, getting the imagery processed in under a month. The aerial imagery of some of the other venues is a bit older (early June). 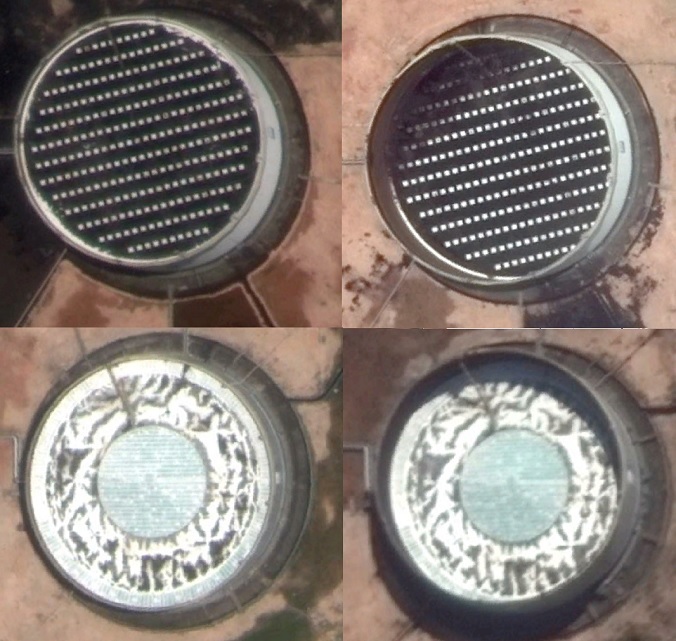 The aerial imagery is available only in the default layer. It has not, as of this writing, been pushed to ‘historical imagery’. The white water venue looks ready for action. “Top Maps” and “Staff Picks” are familiar headings from the Google Maps Gallery. But where is the search box? 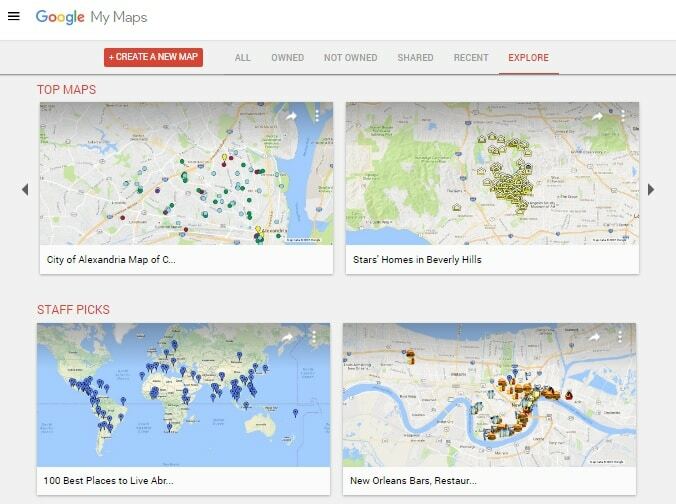 The Google Maps Gallery had lost a lot of its best maps last year when it dropped maps from Google Maps Engine, which was deprecated and later shut down. 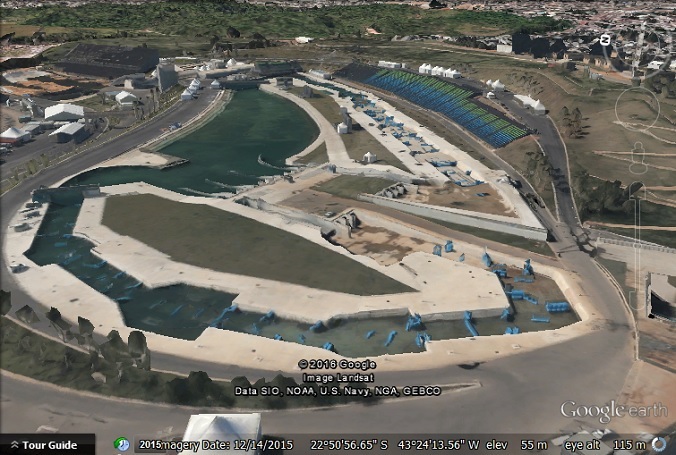 The post Olympic venues get a 3D update appeared first on Google Earth Blog. 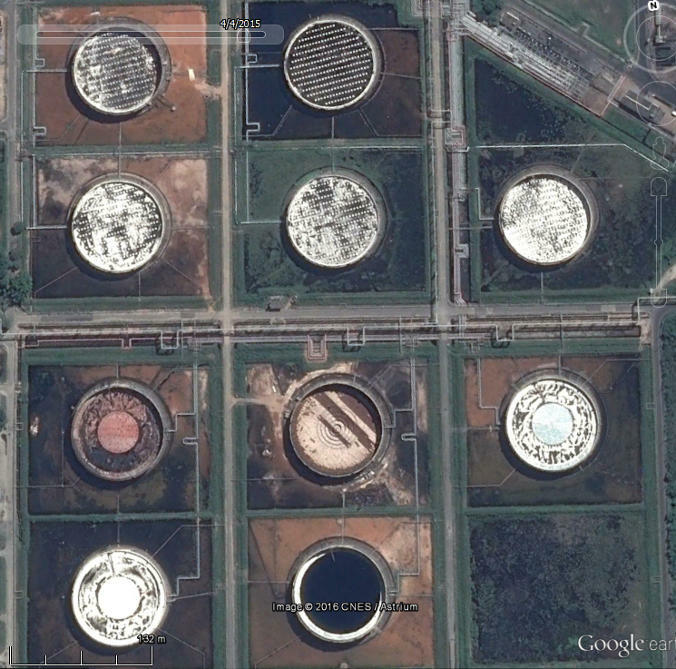 The post Monitoring oil reserves with satellite imagery appeared first on Google Earth Blog. With the opening of the Olympics just two months away (August 5th), it is a good time to have a look at the host city, Rio de Janeiro, Brazil. Google has kicked off the sight-seeing by updating and adding to the Street View of the city. Read more about it on Google’s Lat Long Blog. When we looked at historical imagery density we mentioned that Rio de Janeiro is one of the hotspots where Google Earth has an extraordinary quantity of historical imagery. This means that for facilities that were built specially for the Olympics, you can see the construction in process. So, for example, we have put together an animation showing the Whitewater Stadium and BMX Centre being constructed. The post Rio de Janeiro with Google Earth appeared first on Google Earth Blog.